Reduce the time taken to submit a My Aged Care referral. 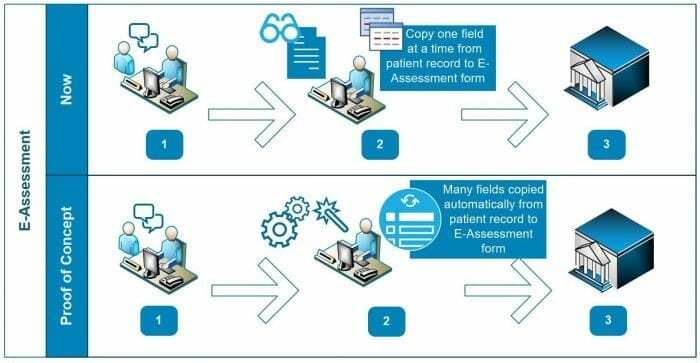 Ensure accuracy of the patient’s information being uploaded automatically from MedicalDirector. Improve the quality of My Aged Care referrals. Provide feedback (i.e. Customer Reference Number) to GPs / HCPs that the referral has been accepted. The Project Team is happy to assist you to determine if the Practice meets the minimum requirements. In order to install the PRISM Widget, participating practices are requested for their Practice ID by the Project Team. This will be sent to Medical Director to enable the My Aged Care widget to be published to your Practice’s Medical Director Widget store. Once completed, the Project Team will download and install the My Aged Care Widget on each individual computer within the General Practice that will be used to access PRISM. The Project Team will then set up user accounts and provide PRISM Widget training. Installation of the PRISM Widget takes 10- 15 minutes to complete on each computer.